One of the Project demonstration sites of the Run4Life Project is in Helsingborg (Sweden). This DEMO-SITE is within the framework of the larger local project H+. The project partners met here to discuss the progress after the first year of the project. Moreover, from WE&B’s perspective, as leaders of the task dealing with social perception and engagement, we organised a focus group with the City of Helsingborg, the University of Lund, and the Swedish University of Agricultural Sciences. The aim of this discussion group was to further discuss the governance, organisational and social aspects of the H+ project within the context of the Run4Life project. The focus group was co-organised with the project partners, NSVA and the USC. 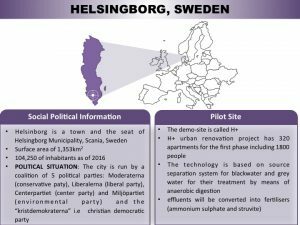 The demo-site in Helsingborg, called H+ is based on a source separation system for black water and grey water for their subsequent treatment by means of anaerobic digestion, where the effluents are converted into fertilisers (ammonium sulphate and struvite). This process of source separation systems takes place within the H+ urban renovation project that includes 320 apartments in the first phase housing 1800 people- allows for the Run4Life concept to be adapted to the Swedish legal requirements. 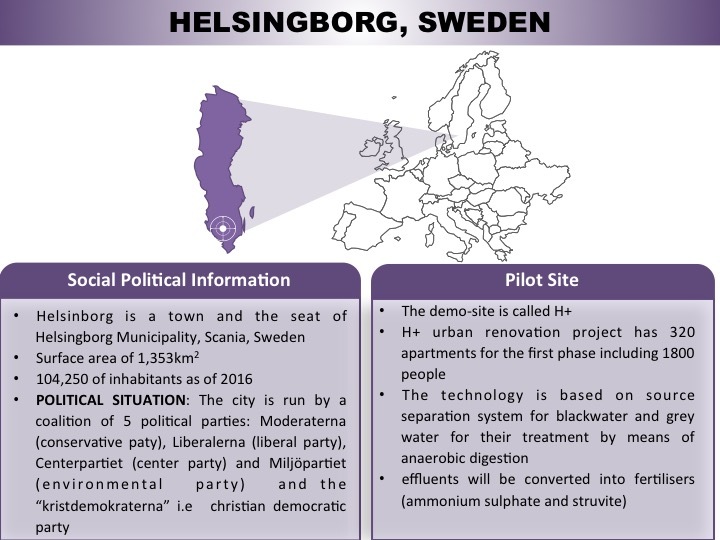 The decision to implement this treatment system in this area of H+ was born out of the environmental profiling of the area (City of Helsingborg, 2011). The H+ area was expressed as a realized need, by the water utility, to get hands-on experience on operation and impact of wastewater systems possibly better adapted to future climate change and a growing need for recycling of resources. 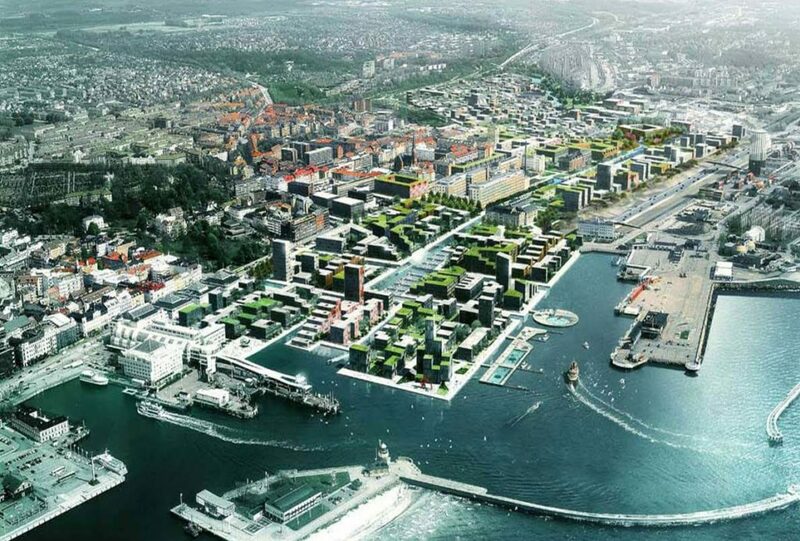 In this sense, also several Swedish municipalities have shown interest in the system, and the NSVA and the city of Helsingborg have given several informative talks to delegates from these municipalities.